Colorful and flavorful snow cones are sure to draw customers to your concession stand or carnival cart. 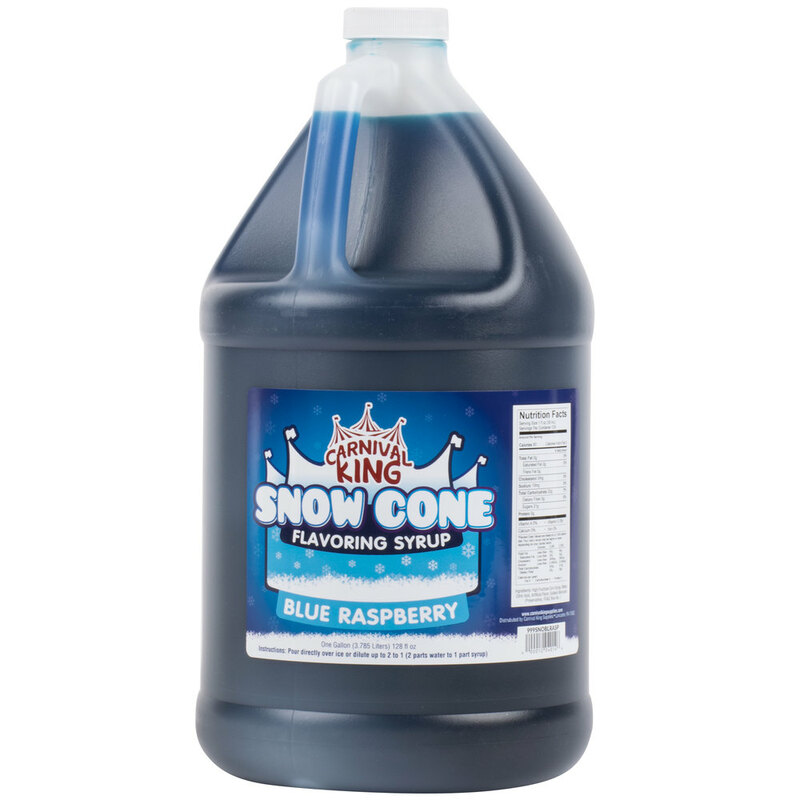 Keep up with the demand for these refreshing frozen treats with this Carnival King 1 gallon blue raspberry snow cone syrup! Carnival King offers great flavors at a great value, and this sweet blue raspberry flavor enhances the appearance, color, and taste of your shaved ice desserts. Besides traditional snow cones, you can use this syrup with ice and a scoop of marshmallow topping to create a classic snowball.